KENNEDY SPACE CENTER, Fla. (NASA PR) — NASA Kennedy Space Center’s historic Launch Complex 39A, the site from which numerous Apollo and space shuttle missions began, is beginning a new mission as a commercial launch site. SpaceX has SOOO many things going on. Sometimes, I am amazed that they have a better success rate than does other systems. Hopefully, they can keep it up, but they really need to get their production line going and launch those sats. 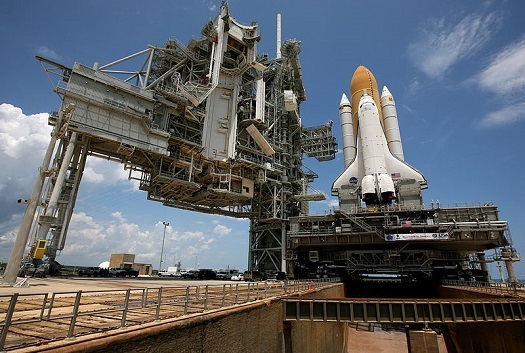 A new lease on life for the US manned space program! Also, every time something “goes wrong” it gives them a chance to learn. Hopefully, reusability will help even more in this regard. Its funny. Ppl ignore the fact that launch pressure is what lead to 2 shuttles being taken out. And yet, we still see ppl trying to put pressure on a company that already has massive pressure on its self. 2) multiple destinations, ideally, another space station in LEO, and then one at L1, which allows for a place to either assemble or ride out solar storms. 3) and finally, a base on the moon. Like you said, they’ve got a lot on their plate – but things are finally pointing in the right direction!